"Loving the latest Euphoria release with Mato delivering some minimal throbbing grooviness. " "Wicked mate thank you! Love B2 "Where's The Chutney"." 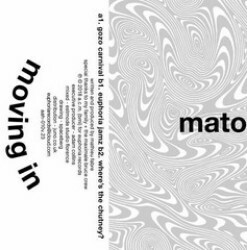 "Combining deep house and funky elements with a minimal approach, Berlin has surely left a mark on Mato here, presenting us with a solid debut EP of dancefloor goodness (sounds really solid, and mastering is perfect too)." "Stunning Ep... I will play all the tracks, really solid and funky stuff! " "The full EP is nice but Euphoria Jamz is killing it. Support. " "Absolutely love this killer debut release from Mato. All 3 groovers have his distinctive infectious bass lines, peppered with his unique quirky soundscapes. Really solid release, will play all tracks!" "Right up on my street! Lovely. " "Funkylicous Basslines and the tightest drums, I heard in a while!! Big up man full support!! I played it at Tresor two weeks ago. Sounded so dope on their Void sound system!"